That Sunday sprinkle of rain was not enough. The New York Times over the weekend issued a dire report on California’s ongoing drought, with a nod to how pot farmers are going to be affected in the coming year. 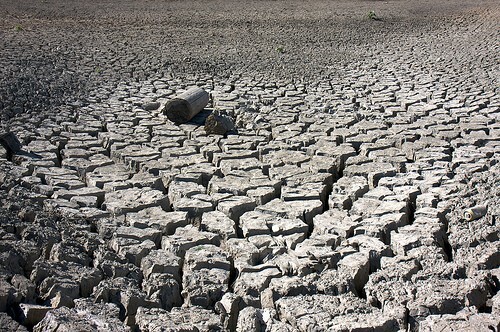 It’s technically the third year of drought in California, and “We are on track for having the worst drought in 500 years,” B. Lynn Ingram, a professor of earth and planetary sciences at UC Berkeley told the Times. About 40,000 Californians will run out of water in the next 60 to 120 days. Up in pot farm country, the 2014 crop is currently germinating indoors and in greenhouses as we speak. Pot plants take six gallons of water per day per plant for a 150-day period, The Times reports. Pot farmers in the hills store rainwater, but some also tap nearby springs, and sometimes pump from ponds and rivers. Then there's always trucking it in. A bunch of rivers in that area are now closed to fishing, state officials say. "Two-thirds of the wettest part of winter is now behind us and conditions are looking increasingly grim," the California Department of Fish and Wildlife stated in a release. The hill-folk are getting mighty testy, judging by the comments in the Lost Coast Outpost. How much of the outdoor crop actually makes it to market this year, and at what cost, will be one of the major stories of 2014.